We can provide analogue and digital public address systems. These can be throughout your whole building or may be for a lecture hall or conference room. Integration into hearing loops can also be provided. We have installed systems in Courts, Schools and Churches. 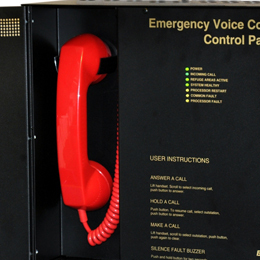 Voice evacuation fire alarms can also be provided.